Searching for the best Residential Granite Restoration team in South Florida? Our family owned and operated business is a leading source for natural stone care. 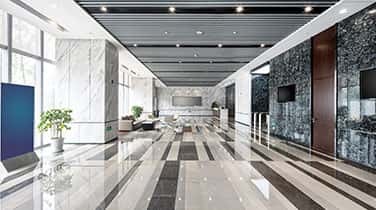 We have vast experience when it comes to identifying the unique variations in your granite or marble and can recommend the most suitable method for repair, cleaning, polishing, or refinishing. When it comes to sealing granite, our team can prevent simple mistakes that come from inexperience. In fact, our licensed, bonded, and insured team is capable of providing a fully guarantee for all of our workmanship. You won't have to worry about discovering damaged property, a mess left behind, or unpleasant lingering odors, either. We always do the job right. Call today for your FREE consultation and learn more about our affordable prices and impressive, expert results for residential granite restoration. AAA Marble Care can provide extensive or basic restoration services for any granite countertops, walls, floors, stairways, patios, balconies, fountains, bathtubs, showers, pool decks, or other surfaces and objects around your home. Everyday use of your granite countertops and floors, in particular, can be damaging. If it's not the contact with acidic substances or oils, dullness can appear from heavy foot traffic and harsh cleaning chemicals can eat away at your stone's surface. In time, the stunning brilliance you once loved in your granite will disappear. Reinvigorate your granite by hiring our team, today, to smooth and enhance your stone. Schedule your consultation, today.